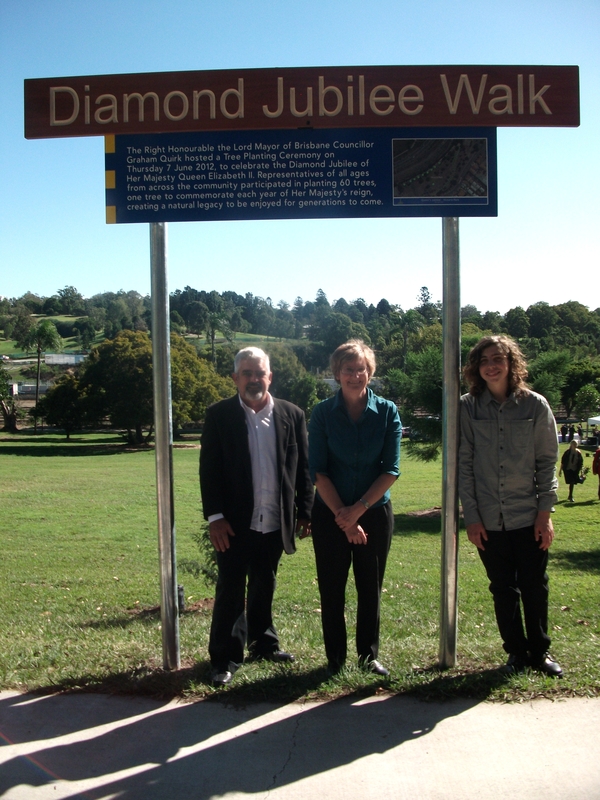 Sheamus O’Connor – 2012 Young Citizen of the Year, Heather Barnes – Bulimba Creek Catchment Coordinating Comittee (B4C) and I were invited to take part in planting the Lord Mayor’s Diamond Jubilee Walk (click for map) in Victoria Park. 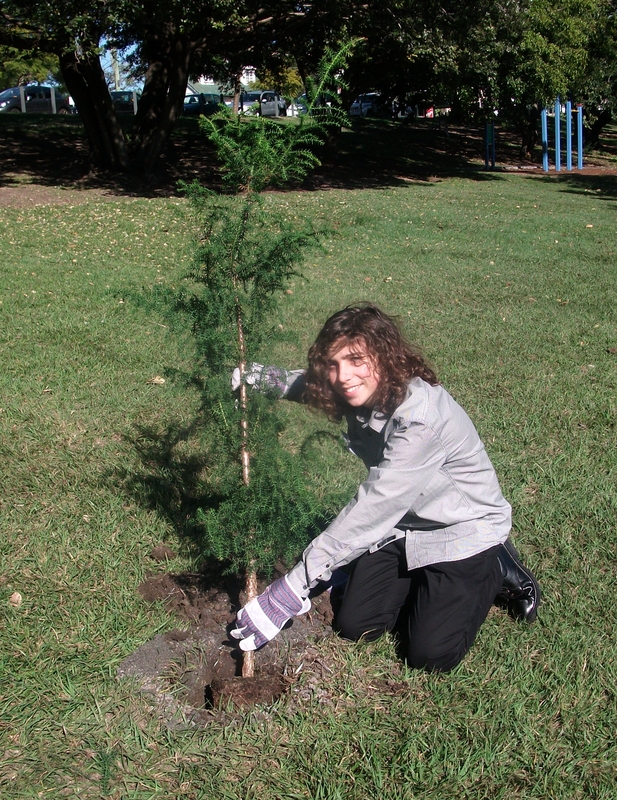 An avenue of sixty native Hoop Pines Araucaria cunninghamii,one for each year of the Queen’s reign, have been planted along the bike/walking path between Centenary Pool and Brisbane Girls Grammar School. Hoop or Queensland Pines occur naturally in drier rainforests from Hastings River, New South Wales, to Far North Queensland and, having a single straight trunk, are also grown as plantation timber. Sheamus and Heather combined to plant tree 24. 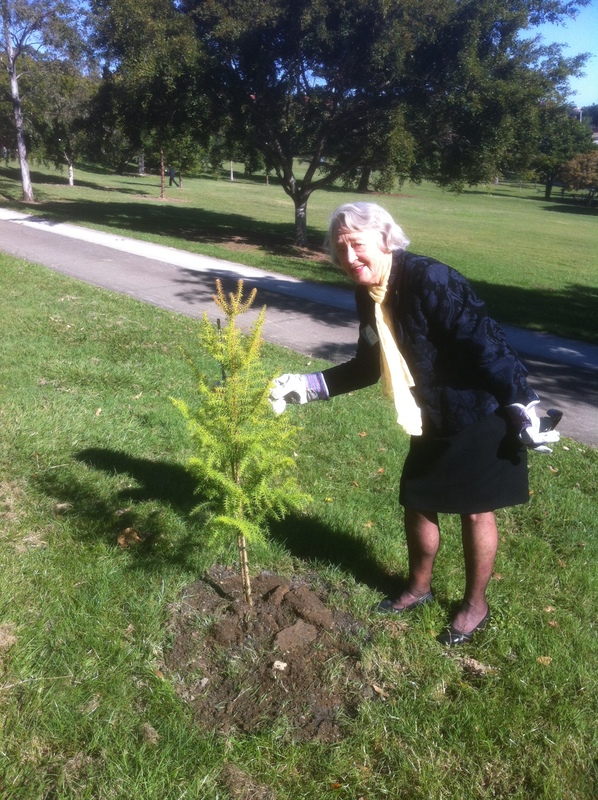 Beth Dawson AM, representing St John’s Ambulance, joined me in planting tree 18 in the avenue. I met Beth earlier when we both attended the Lord Mayor’s 2012 Australia Day Awards presentations. An interesting person, Beth actually attended Brisbane Girls Grammar School and, like me, is related to the early German settlers who established Brisbane’s Nundah/Zillmere areas. Meeting with the Lord Mayor and Lady Mayoress. Great idea! Can you tell me where exactly the Walk is ie beginning and end, and parking? Details of parking, walk length and conditions are included in the notes. These photos speak for themselves. 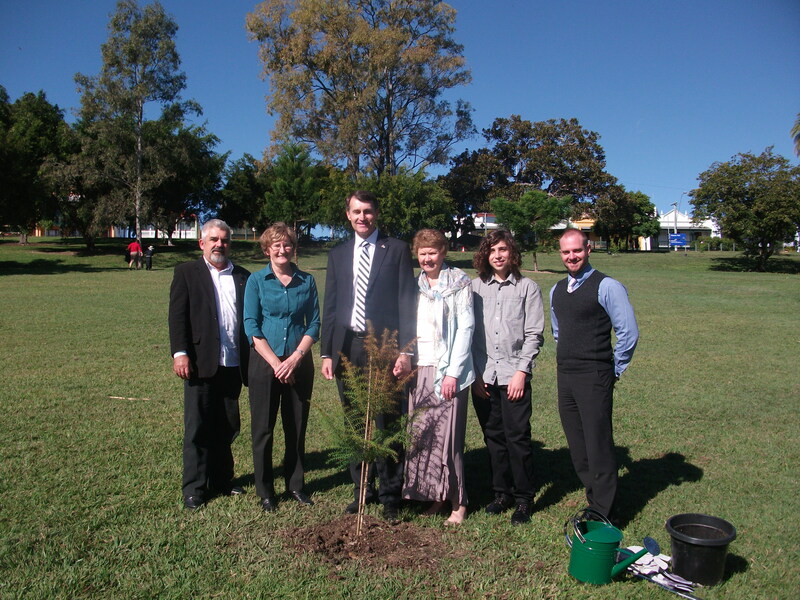 It is so great to have more plantings done and with great leadership for environmental positiveness for Brisbane. I sure look forward to seeing these plantings flourish in future for families to use as shade and for our birds within diversity .